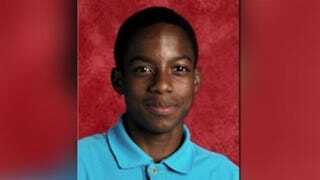 Balch Springs, Texas, Police Officer Roy Oliver was fired Tuesday after fatally shooting 15-year-old Jordan Edwards Saturday night as the teen was leaving a party, the Dallas News reports. We are grateful the decision has been made to terminate the officer responsible for Jordan’s murder. Over the past 24 hours Chief Haber has made commendable strides toward justice. However, there remains a long road ahead. We anxiously await this officer’s identification and arrest for the crime of murder. The magnitude of his horrible actions cannot be overstated. We fully expect an equivalent response from those responsible for investigating and punishing the crime. We also know that although his actions were the most wicked and consequential, he was not the only officer responsible for dreadful behavior that evening. After Jordan’s two brothers, Vidal and Kevon, along with their two friends, were forced to experience this tragedy up close as occupants of the car, they were immediately treated as common criminals by other officers; manhandled, intimidated and arrested, while their brother lay dying in the front seat. The officers who extended this nightmare for those children ought to be properly reprimanded as well. Our family is working hard to deal with both the loss of our beloved Jordan and the lingering trauma it has caused our boys. As previously reported by The Root, during a press conference Monday, Balch Springs Police Chief Jonathan Haber retracted his earlier statement that the car in which Jordan was traveling Saturday night was “backing down the street toward officers in an aggressive manner,” which Haber initially claimed prompted Oliver to open fire with a rifle, fatally shooting Jordan in the head. Haber said that he “misspoke” and that the vehicle, which was being driven by Jordan’s 16-year-old brother, was moving away from police officers when Oliver opened fire. “After reviewing the video, I don’t believe that [the fatal shooting] met our core values,” Haber said.